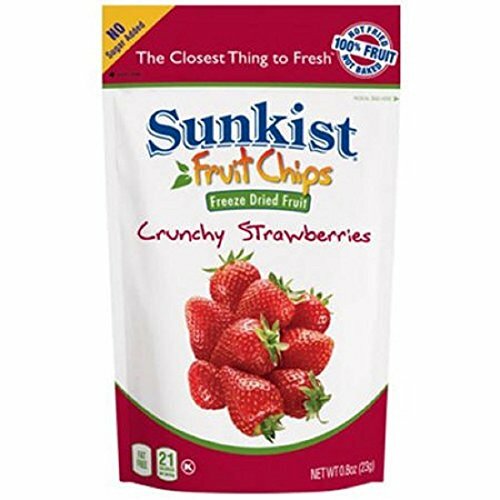 Sunkist Freeze Dried Strawberry Slices are a delicious and healthy snack. They are made from real fruit and the only ingredient is strawberries. The pouch is perfect for on-the-go snacking and contains 0.8 ounces of tasty freeze dried fruit. Sunkist Fruit Chips are 100% fruit, Non-GMO, Kosher, and have no sugar added.